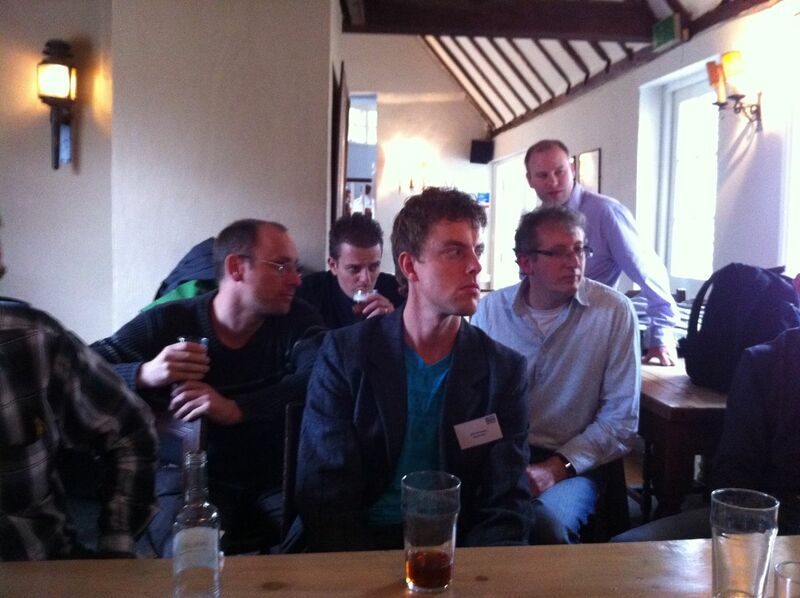 Last week was the CodeGeneration 2011 conference in Cambridge/UK, the melting pot for model driven development. It was once again a great conference, even bigger and more inspiring than the recent years. You will find some good summaries of the conference and the Language Workbench Competition workshop in the blogs from Angelo Hulshout, Johan den Haan and Marco Brambini. At this conference I had an experience report talk together with Bernhard Merkle from Sick (“Graphiti + Xtext: mixing graphical and textual DSLs for sprayers/designers“) on wednesday, where we discussed the integration of Xtext and Graphiti for combining textual and visual DSLs. It is also obvious for us that although Graphiti – more maybe because – has a quite good API the work to actually create Graphiti based editors is repetitive and thus a candidate for code generation and a more abstract description by a DSL. On thursday Marko Boger, former grounder of Gentleware and now professor at the University of Konstanz, showed how they developed exactly such tooling (i.e. textual DSLs with Xtext and code generators with Xpand) to create visual modeling tools. In fact, the newest version of Poseidon for UML was created that way and with the developed tooling visual DSLs can be developed very fast. However, they generate against their own Poseidon runtime and wish to change that to Graphiti in the future. Right after that session, Jos Warmer showed in his talk “Developing an Insurance Product Modeling Workbench” that he already did that for his current customer. Means, he has developed a DSL with Xtext and code generators with Xpand that create Graphiti editors. 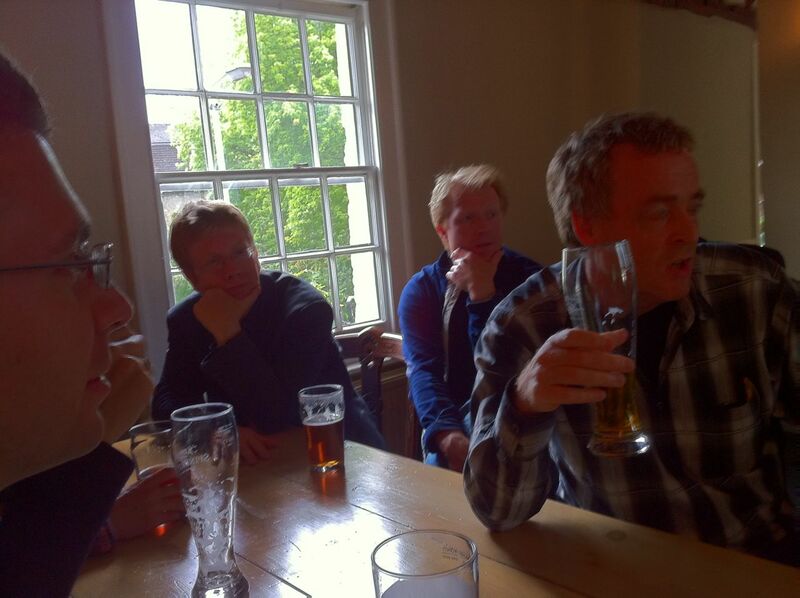 There was obviously high interest in this approach, thus we scheduled a Birds-of-a-feather session for thursday evening in the Castle Inn Pub nearby to discuss model-driven development of Graphiti DSLs. About 20 persons crowded the far to small table, and we had a lively discussion. As a result we decided to join our efforts in an Open Source project. Jos named his DSL “Spray” and I think this is a perfectly fitting name for the project. Further we decided to host that project at Eclipselabs, since parts of it will be potentially contributed to Graphiti or its umbrella project, the Graphical Modeling Project. The BoF session thus was the birth of project “Spray“. Right after the BoF session was the conference dinner, and I founded the project on my iPhone while waiting for entrance. Maybe this is the first Eclipse related project founded with the iPhone? Jos subtitled it with “a quick way to create Graphiti”, which again perfectly describes what the project will be about. He already uploaded an overview of Spray (extracted from his CG2011 presentation) , and its implementation will be soon contributed as a first version of Spray. We contacted the Graphiti team about our idea and got positive feedback and even one developer who wants to contribute to the project. 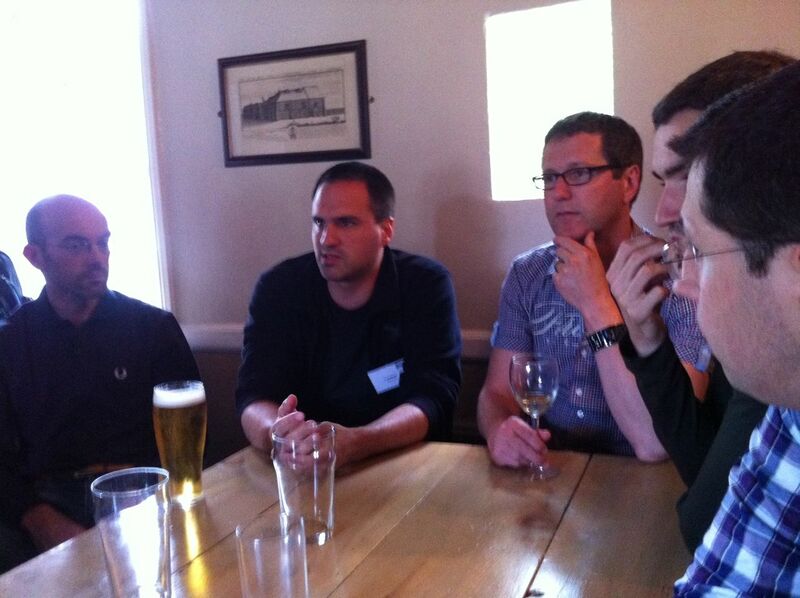 Also the internal feedback at itemis showed that the project may find some volunteers here. The overwhealming high interest in contributing to this project is of course good, but now the project must challenge to actually find a concrete vision. Jos’ contribution will be a good start for that, and the experience and requirements of the other interested parties will hopefully be constructive and shape the project. This is a great chance to create something really useful together with real experts on every needed skill. I hope to find enough time myself to contribute and maybe even customers who have a concrete need for it, so that we can provide a working solution in the near future.